Traci Williams spent her early years applauding others for seeking their dreams. But one day, she decided enough was enough and she set out to see her own dreams fulfilled. The task ahead wasn’t easy. She was in her mid- 40s, had a family to care for and tight finances, but she threw caution to the wind and decided to enroll at CCBC. Although finances were tight, Traci made the most of CCBC resources to get her through the tough times. When she lacked Internet access at home, she stayed at the library from opening to closing to complete assignments. When she needed money for classes, she sought out scholarships and received several from CCBC to make up for what she didn’t receive in Pell Grants. For Traci, failure wasn’t an option. In 2015, all her hard work paid off. With a 4.0 GPA, several universities -- LaSalle, Goucher and University of Maryland, College Park – came calling. Instead of her pursuing colleges, colleges were pursuing her. In the end, Traci chose Smith College in Massachusetts where she will continue her studies. And, she received the Jack Kent Cooke Transfer Scholarship worth up to $40,000 annually to help her fulfill her dreams. 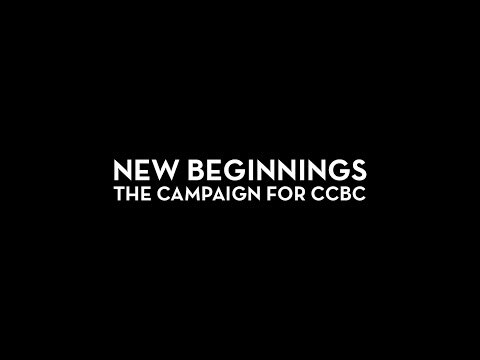 New Beginnings, the campaign for CCBC.